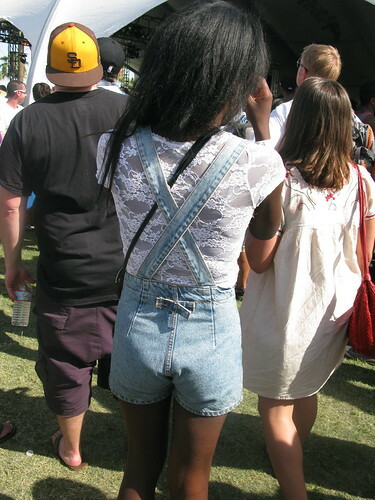 so at coachella i couldn't stop people watching...lace, leather, denim, flowers, feathers and onsies galore! 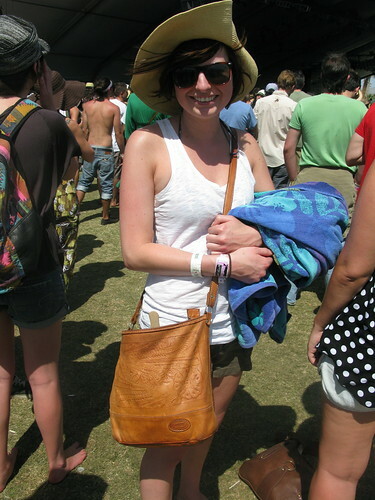 what would you have packed for coachella? swimsuit? dress? would you have gone all out? 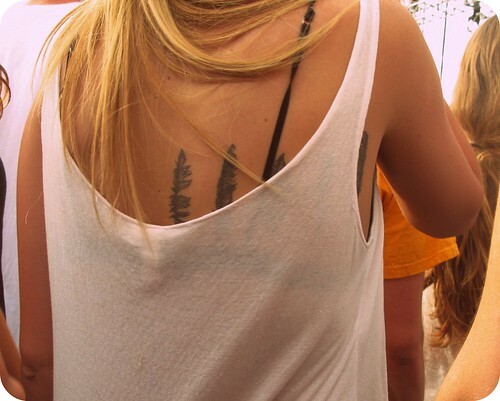 always a fan of feather tattoo's...they even had this print at urban outfitters. love the hats...and the colored zippers around the rim! when i saw the kid in the middle i almost had a heat stroke! i mean seriously it was HOT outside! 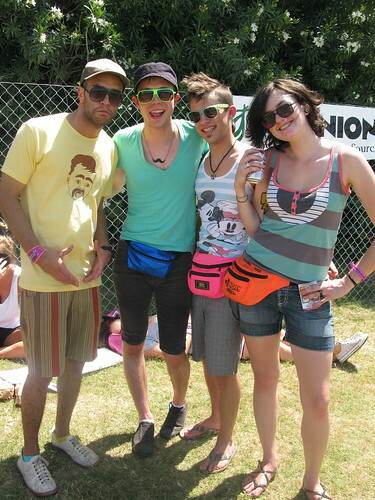 fanny pack's! i am 100% all for the fanny! this group of friends was too cute! 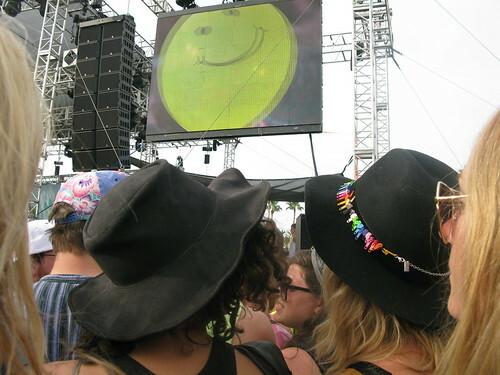 i totally agree with wearing neon at festivals, it's easier for your friends to spot you in a crowd. 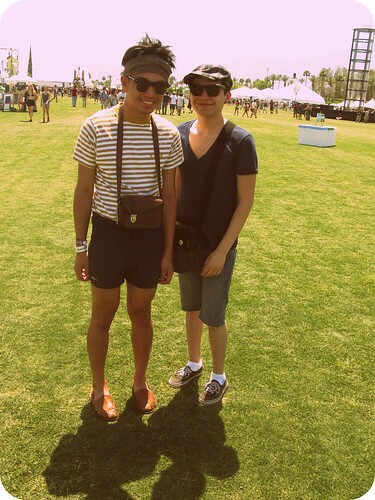 hat-yes, shades- yes, TOMS- YES! that tattoo is all kinds of wonderful! when i first saw her she was wearing her suede vest...im a sucker for vests...isn't she adorable? LOVE! i would totally wear this. i saw a lot of lace..
loved her hair and nail polish. awesome! love the stripes, the bags, the head wrap and the slip ons! really? could life be any better for him. GREAT HAIR! im jealous. can someone make me this water bottle bag? PLEASE! 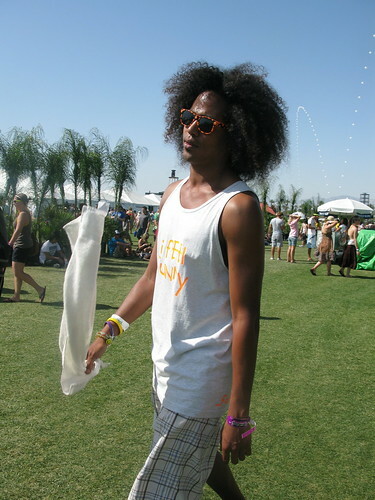 i only like the shirt and the shoes...and the hair! guess who? 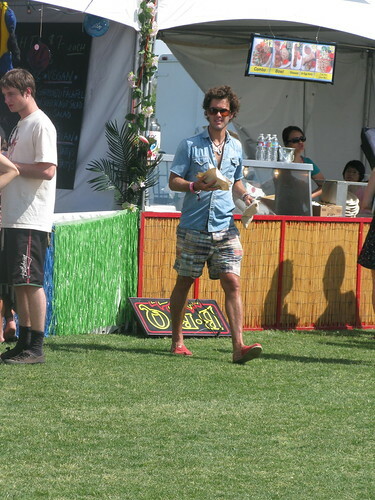 blake mycoskie of TOMS. thanks lydia for confirming it. did you enjoy this style post? 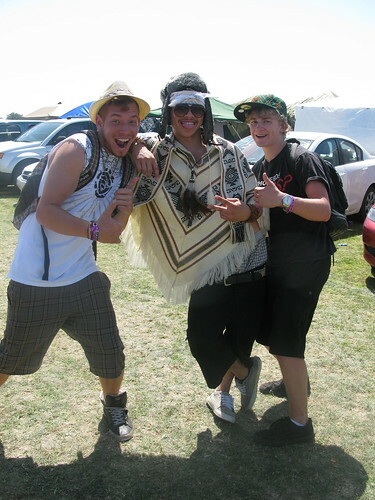 do you wanna check out coachella next year? 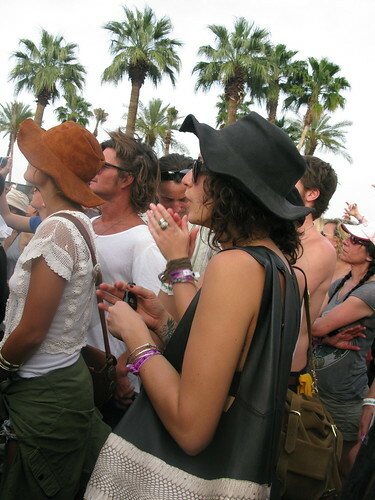 were you there this year?